I am honored and delighted to be your facilitator for this year’s retreat. This year we are commemorating the 144th birthday of Mikao Usui, the founder of our practice, the very first Reiki practitioner. Usui was a brave and compassionate man whose spiritual longing and effort literally gave us this practice, who lives on today in our own practice, even though the form of our practice may be quite different than how Usui himself practiced and taught. 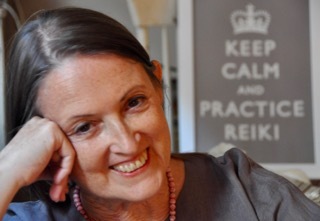 My intention for this retreat is to deepen our relationship with Reiki, and to strengthen our sense of being connected to a global community. So I hope you will reach out and invite others to join us. This is a very special opportunity for all of us. As your facilitator, I want to offer enough structure so that this can be a meaningful adventure into practice for you. I am also counting on each of you to participate in the retreat in the way that works best for you. 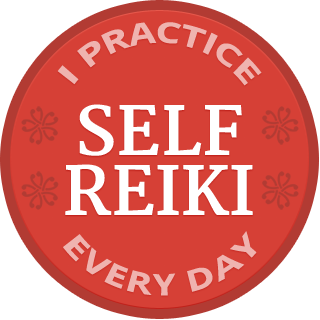 I hope you will find a way to practice Reiki everyday for the next three weeks, in whatever way you can, and know that we are all practicing with you. But if you miss a day, come back to your practice, and your community, the next day. I suggest that you keep a paper and pen near where you practice, so that you can jot down your observations and contemplations after each session, and even between sessions, as an insight blossoms in your awareness.